You know I love my boys. All 4 footed furriness of them. So, when there is something super cute and cat like, what’s a girl to do? 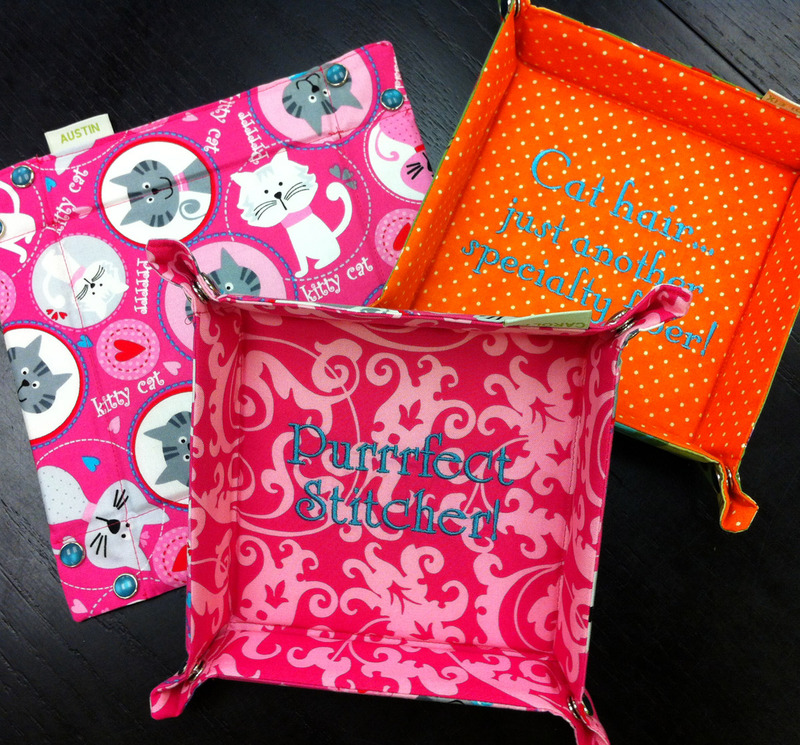 We now have cat themed snap trays. Perfect for the cat lover everywhere. These are of course perfect for housing your scissors, threads and needles for the current project, but consider them also for travel. The perfect spot for your watch and cellphone in the hotel room. Each is cuter than the next. 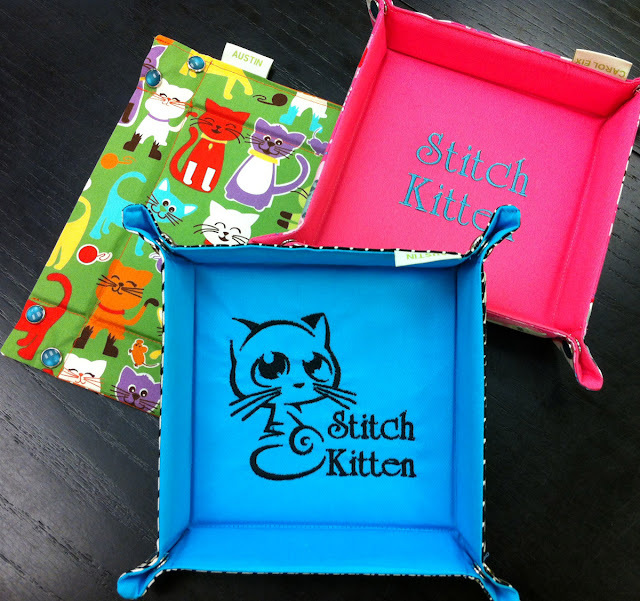 If you are a Stitch Kitten or the Purrrfect Stitcher! We have a tray for you. My favorite is the Kitty Cameo. This one is special for us. Isn’t it too cute. Available in assorted colors. 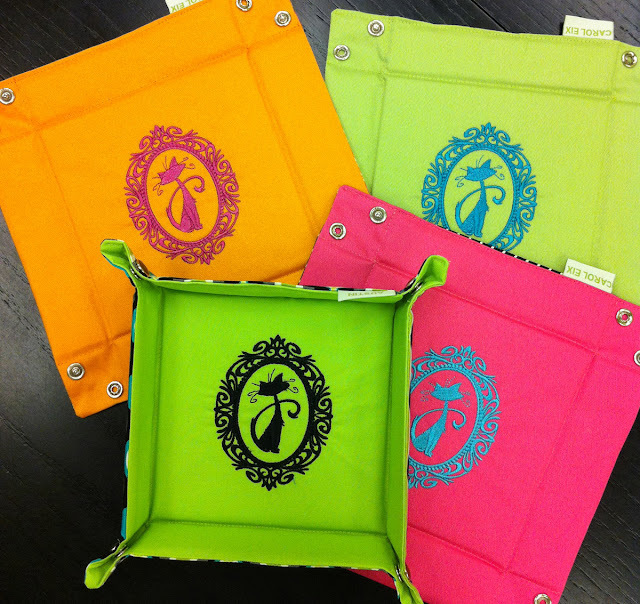 Dog snap trays will be coming soon. I am an equal opportunity enabler after all. « Previous: What to do on a gray Saturday? Hi Ruth! These are great, Carol is so clever! I think I'm with you, love the cameo. No kitties here though…just the sweetest pup ever. My Parrot Sam thinks we should add parrots too. He barks like a dog and can meow.